Slower than expected consents for building permits across commercial and recreational facilities saw the Canadian building permits declining by 7.0% in March after February saw the biggest month over month increase since 2014. However, February’s data was modestly revised lower from 15.50% to 15.30%. The declines could have been stronger if not for a modest increase in residential building permits. 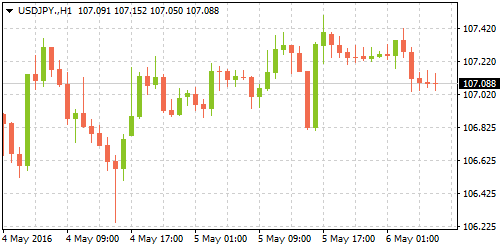 The weak data comes in the backdrop of a wider than expected trade balance data released earlier on Wednesday. Retail sales in Australia climbed 0.40% in March on a seasonally adjusted basis, beating estimates of a 0.30% increase, data from Australian Bureau of Statistics showed on Thursday. February's retail sales were also revised higher from a flat zero percent change to 0.10%. The headline retail sales gained with an increase in food, clothing, footwear and other retailing with a 3.10% contribution from online sales to the original terms. On a quarterly basis, retail sales climbed 0.50% but fell short of expectations of a 0.70% increase and showed a slowdown from 0.60% gains in the previous quarter. 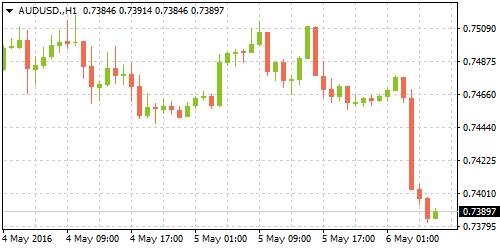 In a separate report, trade balance data from Australia showed a surplus as exports outperformed imports leading to a further contraction in the trade deficit. The biggest exports came from the mining sector. In March, Australia's trade deficit contracted to $2.16 billion from a revised $3.04 billion in February. Business sentiment in the UK's services sector, considered to be a strong contributor to economic growth fell to a 3-year low. 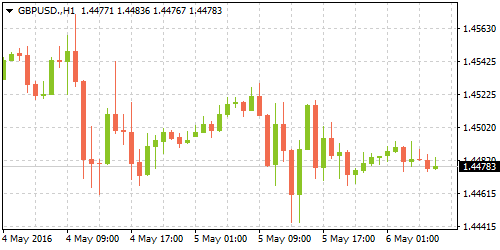 Data released by Markit/CIPS on Thursday showed the services PMI falling to 52.3 in April, down from 53.7 in March. The weak services PMI reading follows the manufacturing PMI which fell into contraction slipping below 50 while construction PMI fell to 52.0. The declines in the three sectors come amid mounting uncertainty on the outcome of the UK's referendum vote on its EU membership. The weak PMI print also casts a shadow on the outlook of the Bank of England's interest rate decisions. Until now, the BoE was seen holding rates steady but a further deterioration in the economic outlook could trigger fresh rate cuts from the central bank. Following a surprise decline in the unemployment rate in March, forecasts call for a 1 point increase in Canada's unemployment rate in April to 7.20%. The results of the March employment report was very upbeat with a 74.7k net increase in jobs, primarily from the services sector which managed to offset the 31.8k jobs lost out in the manufacturing sector. For April, analysts are looking at a modest net gain in jobs of 0.2k which is very low in comparison to the previous month's robust data. Most recent data from Markit shows that manufacturing sector saw a significant expansion with an increase in payroll numbers as well which could see the real data beat the estimates by a strong margin. 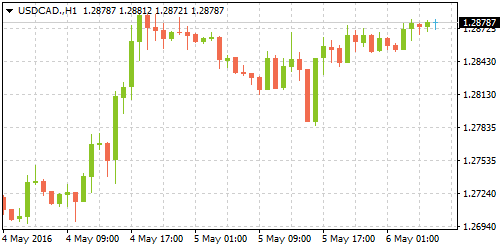 Canada’s jobs report will be released at the same time as the US NFP report making USDCAD highly volatile. The nonfarm payrolls report for April is due today at 1230 GMT. Expectations call for a 203k jobs being added in April, slightly lower than March's 215k jobs. The US unemployment rate is expected to remain steady at 5.0, same as a month ago. However, estimates point to a potential decline in the US unemployment rate to 4.90%, based on the recent ISM non-manufacturing PMI which surged to 53 in April, up from 50.3 in March. Wages are expected to remain steady, increasing at a pace of 0.30% in April same as the month before. A robust beat on the estimates could potentially impact the US dollar to gain more ground and could reinforce the Fed's outlook on tightening labor market conditions all of which could spell into a potential rate hike in June.